Fair Work Australia must take a cautious approach to adjusting minimum wages due to the number of businesses left behind in the country’s lopsided economy, according to the Australian Industry Group. The industry body will today appear before the Fair Work Australia Minimum Wage Panel proposing a $14 increase to the federal minimum wage. This would push wages up from $569.90 to $583.90 from July 1. Ai Group Chief Executive Heather Ridout says while Australia is in better shape than most other advanced countries, the economy remains unbalanced. "Many businesses, especially manufacturers not supplying to the mining industry, are having their competitiveness eroded by factors such as higher interest rates, the higher dollar and rising costs generally," Ridout says. "These circumstances require a cautious approach by Fair Work Australia in setting minimum wages," she says. Ai Group’s Director - National Workplace Relations, Stephen Smith, will lead Ai Group's team presenting its case to FWA this morning in Melbourne. Mirroring the Ai Group’s sentiments, the Australian Chamber of Commerce and Industry (ACCI) says Australia’s "patchwork" economy demands Award wage moderation. It is calling for a $9.50 increase to the minimum wage, following last year’s record $26 per week increase. "Not only does the evidence show it damaged employers and employees in small business, but it came on the back of an 18 month wage pause during the global financial crisis," ACCI Chief Executive Peter Anderson says of last year’s wage rise. "This year the opposite applies - the ink hardly being dry on a record increase that is still flowing through payrolls," Anderson says. He says that a $9.50 increase to the minimum wage, with carve-outs, more than compensates low income earners against cost of living rises under the government’s Fair Work system. While industry is banking on a modest increase to wages come July 1, the Australian Council of Trade Unions (ACTU) is pushing for double what the Ai Group is proposing – a minimum wage rise of $28. It says the sharply rising cost of living pressures – namely food, transport and electricity – support the case for a "decent" increase. The Australian Bureau of Statistics’ Analytical Living Cost Index (ALCI) for employee households rose by 1.7 percent in the March quarter for an overall result of 4.9 percent for the previous 12 months. 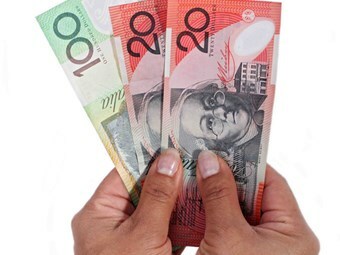 ACTU Secretary Jeff Lawrence says the ALCI data confirms that this year’s claim of a $28 per week increase in the federal minimum wage is necessary for Australia’s lowest paid workers to maintain their standard of living. The claim on behalf of around 1.4 million workers is for a $28 a week (4.9 percent) increase in the National Minimum Wage and in other award minimum wages up to the benchmark tradesperson’s rate; and a 4.2 percent increase for other award workers. "This new data shows how hard it is for low-paid workers to make ends meet," Lawrence says. "A $28 a week increase would be just enough for the low-paid to keep their heads above water," he says.